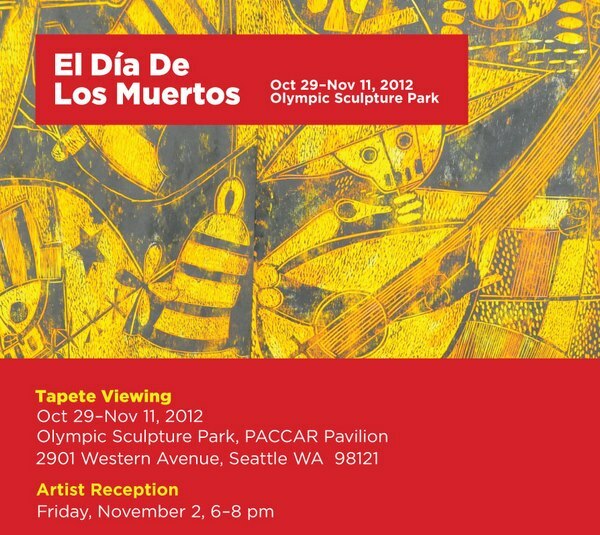 Patty's Utopia: The Seattle Art Museum Welcomes Back Their 14th Annual Celebration of El Día de los Muertos. The Seattle Art Museum Welcomes Back Their 14th Annual Celebration of El Día de los Muertos. The Seattle Art Museum (SAM) is an institution where artists from all around the world are welcomed to exhibit their pieces of art. When it comes to celebrating important festivities from many different cultures, they are one of the leaders in our precious city. Around this time of the year, SAM celebrates with the community one of the most important festivities in Mexico, El Día de los Muertos, or, The Day of the Dead. "This event has been happening here at SAM for several years and has solely been driven by artists and their perspective of this important Latino celebration. The community response has been fantastic. People love it. In the Future we hope to expand it to include more Spanish-speaking cultures and presentations involving different mediums such as photography and others" - Said Sandra Jackson-Dumont, SAM's Kayle Skinner Deputy Director for Education + Public Programs | Adjunct Curator. 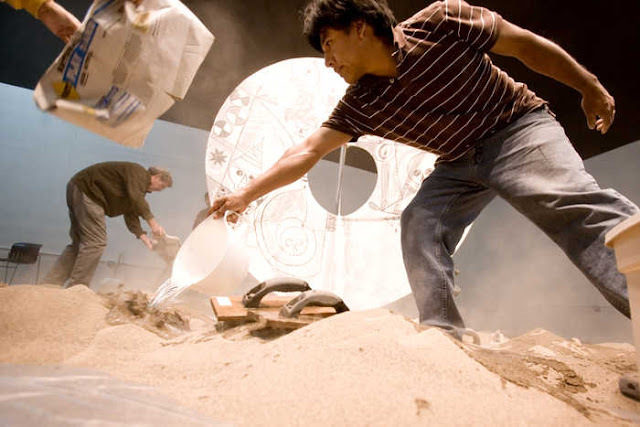 From October 29 through November 11, visit the PACCAR Pavilion at the Olympic Sculpture Park, from 9:00 AM to 5:00 PM, to see a beautiful "Tapete" (Sand painting) created by Mexican artist Fulgencio Lazo. The piece is inspired by Oaxaca's traditions for celebrating this important date. On Friday, November 2nd, SAM will host a free, family -friendly artist reception with live music from La Banda Gozona, a Calavera Mask-making activity, food, poetry, and many more fun activities! This is a FREE Admission Event. As we say in our Latino community: Don't forget to invite your sister, your brother, the cousin, your aunts, and uncles; your neighbor, EVERYONE! Let's show how much we appreciate events like these! Born and raised in Oaxaca, Fulgencio studied at the at the Universidad Autónoma "Benito Juárez" of Oaxaca, the Taller de Rufino Tamayo and at the Cornish College of the Arts in Seattle. He has lived and worked in Seattle as a painter and printmaker since 1990. Fulgencio has had numerous exhibits in Mexico, Japan, and the United States, including installations at the Seattle Art Museum and Tacoma Art Museum. He is currently on the board of directors of Seattle Print Arts and maintains a studio in both Seattle and Oaxaca.